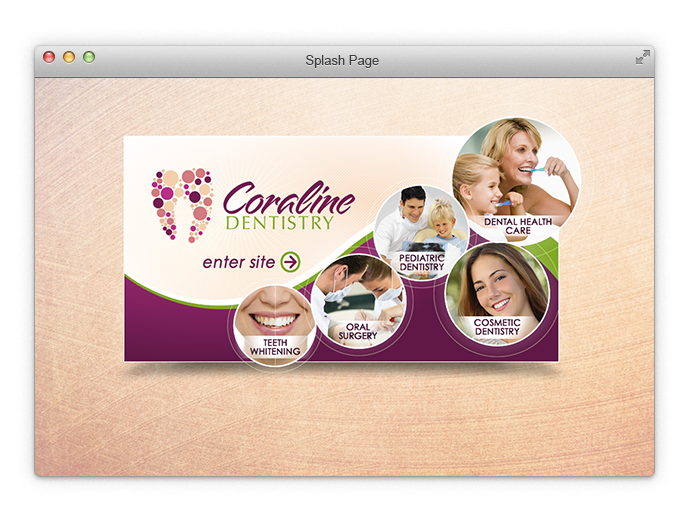 A splash page is an optional page that can be added to your Smile Marketing dental website. It is the first page a website visitor sees and it gives them the option to continue on to a particular section of your site. Splash pages can make a remarkable first impression! 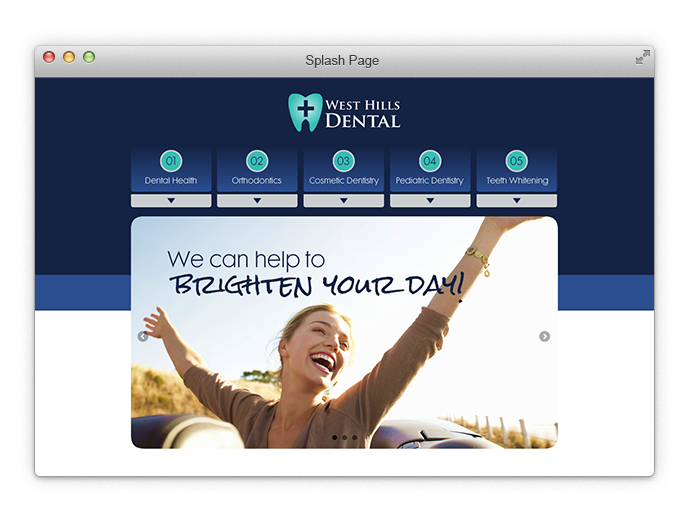 Splash pages are often used by multidisciplinary practices to lead prospective patients to the area of information they are interested in, or by dental practices with multiple locations to direct visitors to their local office page. It is a smart way to guide visitors in what could otherwise be confusing situations. Take a look at a few beautiful splash pages and the pricing table below. If you decide a splash page is just what your practice website needs, simply click “Order Form” to get started!